Kundalini Yoga Teacher Training is starting June 7th in Brampton! 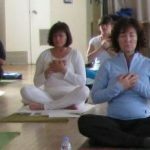 Have you been considering Kundalini Yoga Teacher Training in Brampton? Is it something you want for yourself to heal, explore and find a sense of inner peace, or do you want to help and guide others through this journey we call life? The Kundalini Yoga Aquarian Teacher Training is such a beautiful course with a lifetime of benefits. I turned to the Training when I was dealing with persistent health issues. The Training awakened me to all aspects of my life, some I was prepared for and others I was not. I questioned my values and beliefs. I realized I was avoiding my problems. I was a master at burying emotion. 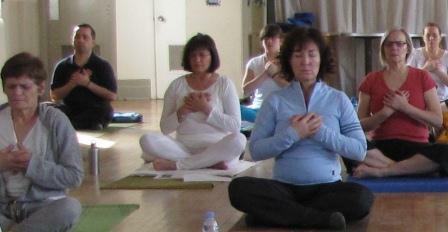 Through the Kundalini Yoga Teacher Training I started to feel alive inside and that I had a purpose in this life. I thrive on sharing the love and passion I feel for these sacred teachings which are so relevant for us today. You too, will learn techniques and tools that allow you to maintain your flexibility, balance your glands, tone your muscles and switch your mood, state of mind and energy level in a few minutes. Kundalini Yoga is a technology to raise our consciousness and self awareness. Kundalini Yoga is a powerful system for transformation and totally worth it! The Training course in Brampton is starting on June 7th. Please share this with your friends, it may be the course they are looking for. You can also contact me for more information.